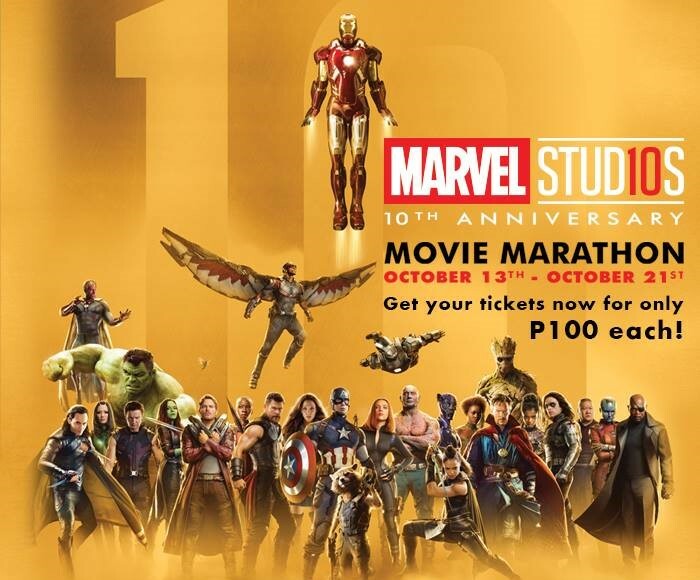 Celebrate the 10th Anniversary of the Marvel Cinematic Universe with a Mega Movie Marathon from October 13 to October 21, 2018. Celebrate 10 years of Marvel by binge-watching your favorite Marvel movies in select cinemas (SM Cinema, Robinsons Cinema, Ayala Malls Cinema, Vista Malls Cinema) nationwide! Tickets are available at P100 per movie or P1200 for all movies. There will also be a chance to secure limited advance tickets for Captain Marvel!